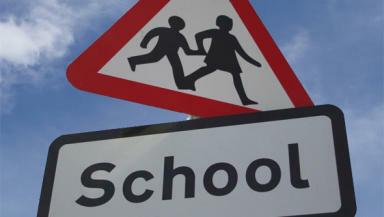 A school on the Western Isles has been officially told its new name following a long quarrel over the decision to reduce the number of facilities from three to one. A new Western Isles school which previously had no name has now been told its official title. It follows a wrangle over the lengthy exercise to educate all pupils in the Point district of Lewis in a single school, instead of three separate smaller facilities. It will now be called Sgoil an Rubha (Point School) after a community consultation which eased some of the bad feeling over the row. Many residents mistakenly believed that the original aspiration to shut the three primaries at Knock, Aird and Bayble and create a neutral centralised community campus for the whole of Point was followed through. It aimed to offer an equal fresh start to all pupils from different villages with no sense of victory or takeover by any “saved” school. But after ten years, it emerged that Bayble school was never legally closed and it is now the sole designated school for the area. A replacement worth over £5 million will be completed in 2011. Pupils in other parts of Point will have to leave Knock and Aird primaries and move into the upgraded Bayble campus. The new name allows progress towards a fresh school logo and uniform colours. An interim parent council has been set up and the council has delegated a liaison officer to smooth the transfer. However, the local authority confirmed it never officially consulted to shut Bayble primary. Therefore teachers and support personnel do not have to give up their posts for the displaced staff at the other two schools. Originally a neutral green field site at Seaview Knock was mooted, with a brand new identity, but this was later changed to a demolition and new-build at the crumbling buildings at the existing Bayble campus.